When I visited a retired primary school teacher passionate about pear trees last week, I didn’t expect to find a hundred fruit trees so high up in the hills, on the remains of the largest volcano in Europe. 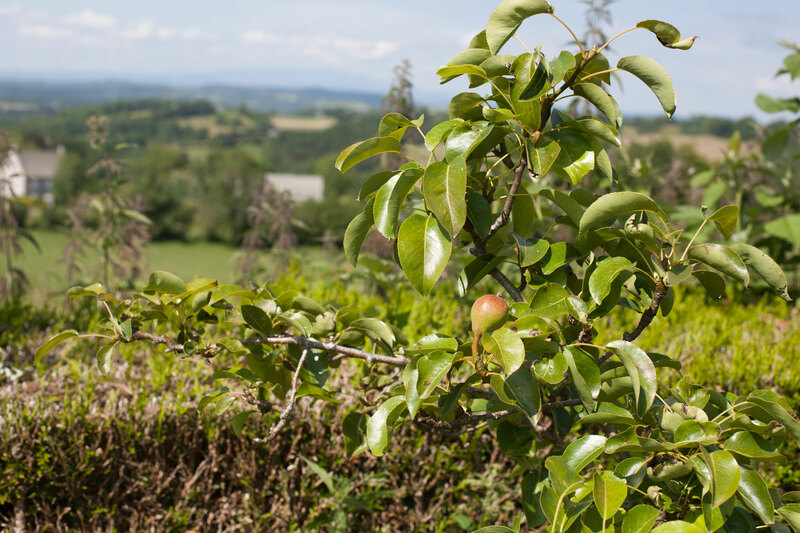 I met the main character of this story for the first time on 26 June at a workshop on fruit thinning organized by “Les Croqueurs de Pommes du Cantal”. I was taking a picture of a small wheat field adjacent to the orchard where we were practising, when he came to me and asked if I was a photographer. 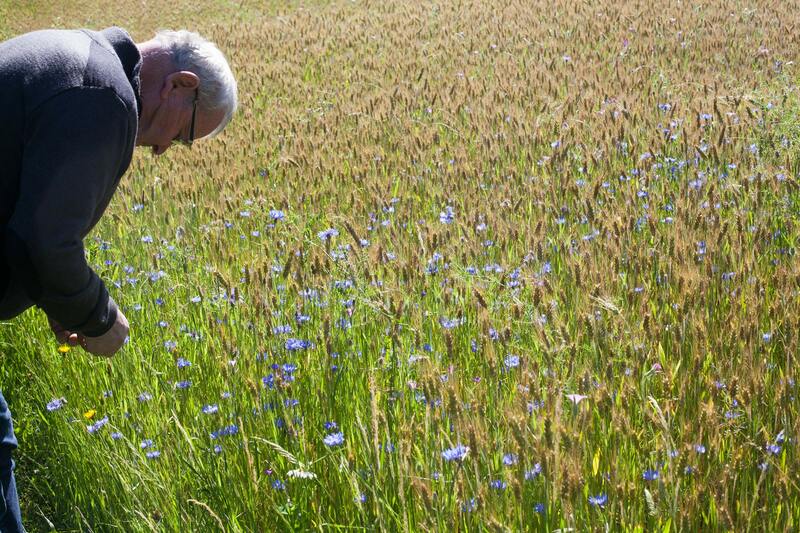 I told him I wanted to take a picture of this field because it was located in a park dedicated to the discovery of nature and because it was full of cornflowers and other plants, which would make a good image of biodiversity. I took the picture when I saw him bend towards the ears of wheat to figure out its variety. I felt he was embodying the serenity of an experienced lover of the land. My interviewee at La Plantelière, 26 June, Aurillac, France. We started to talk about agriculture in the mountains of the Cantal volcano. We talked about cattle food, how his grandmother used to figure out what places were best for their cows, for instance where the Alpine clover and its liquorice tasting roots would naturally grow, which would guarantee excellent milk for cheese making. When I told him about my interest in fruit trees, he said he had some thirty cultivars of pears in his mountain property. 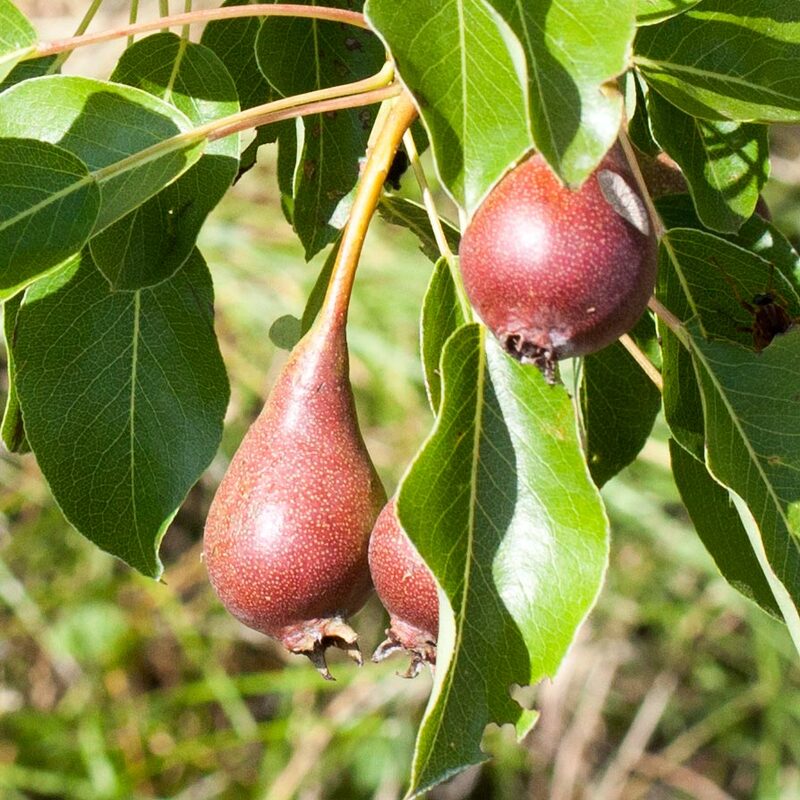 I wanted to see that, as I thought a thousand meters was quite high in altitude for pear trees to be growing in our region. He was available the following week. I went there on Friday 1st July, on my way back from a morning appointment in the large city of Clermont-Ferrand. When I arrived around 4pm, his wife, he and one of their grandsons who came on holiday to help had just finished bundling hay. We had a glass of blackcurrant cordial under the shade in the front garden before starting our tour of the pear trees. 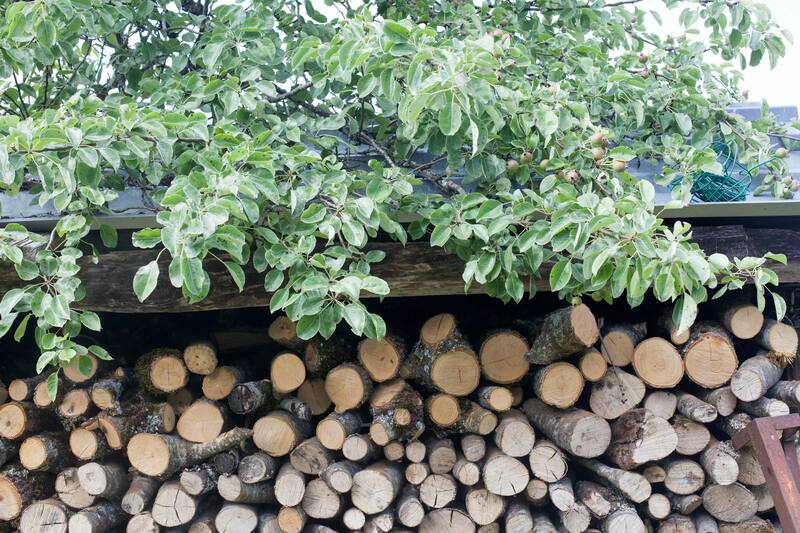 It hadn’t been that easy to locate their home in this tiny village of ten houses: there were fruit trees all over the place. 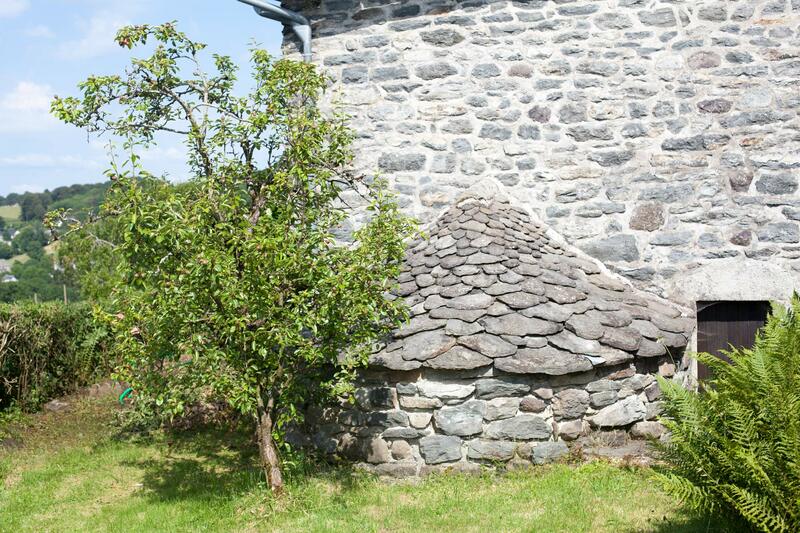 The family house and its bread oven. Left: the first pear tree the teacher planted here in 1985. Before looking at the pear trees he showed me a one-meter-high plant called “molène, Verbascum thapsus in latin”, that had accidentally grown near the garage next door. He told me about its medicinal virtues, that it was biennial… This is when I realised he was not a farmer but a teacher, who had worked in two primary schools in rural areas. 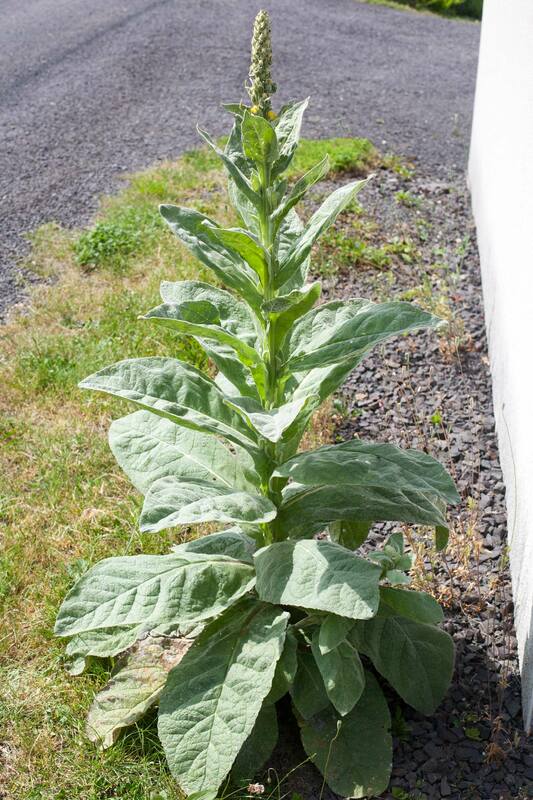 “Molène” (mullein, Verbascum thapsus), a natural cure against coughs. Picture 1st July. 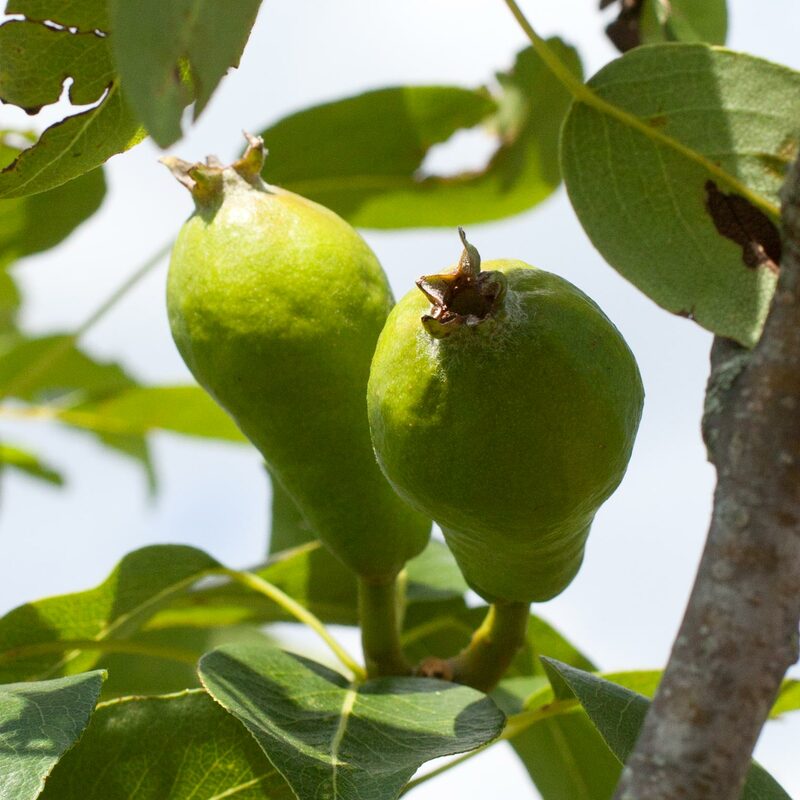 The pear tree next to us was a “Marguerite Marillat” cultivar, “recognisable by its shape that illustrator Daumier used to caricature the face of King Louis Philippe the 1st”, he said. 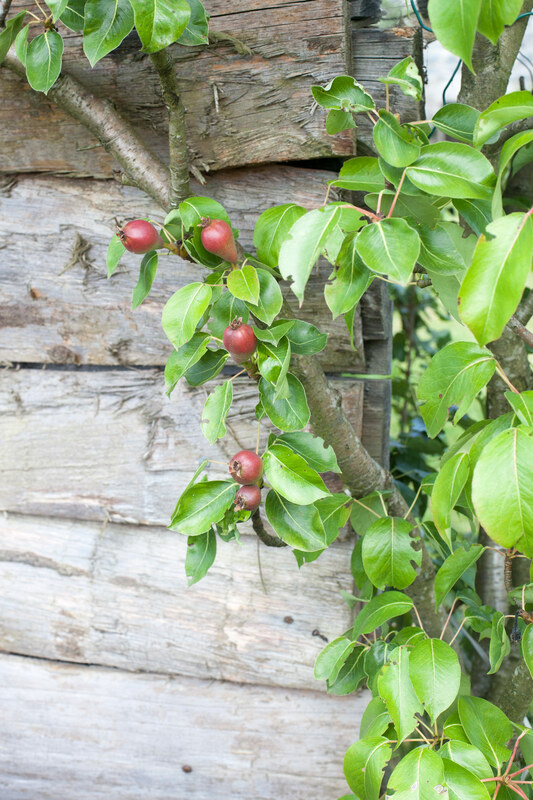 He had grafted it on a rootstock grown from a “pérou” tree, the name given in Auvergne to wild pears Pyrus communis, not very pleasant to eat. 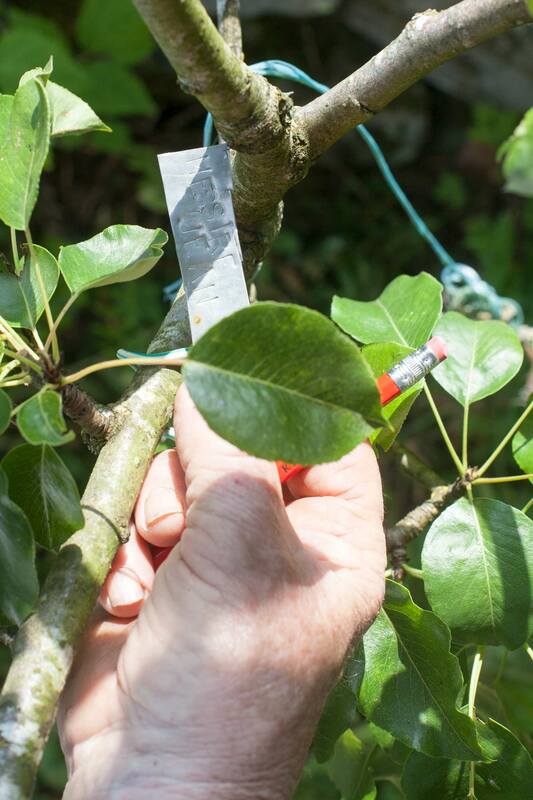 The “pérou” pear tree (Pyrus communis) that provides the wild rootstocks for grafting. 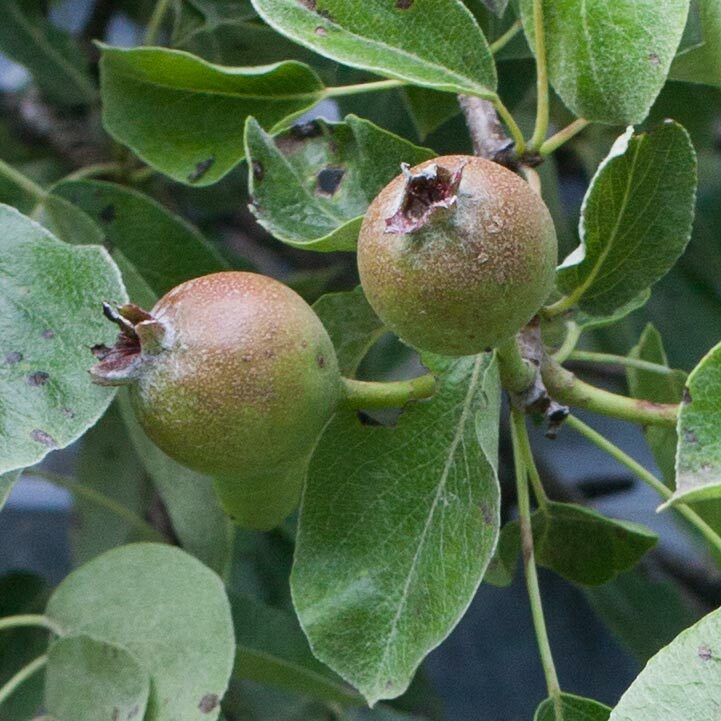 Young “Marguerite Marillat” pears. Very healthy tree, a thousand meters above sea level in the mountains of the Auvergne. Now I have carried out some research I would actually challenge the claim that Honoré Daumier was inspired by the shape of the “Marguerite Marillat” pear to draw his caricatures of Louis Philippe the 1st, as the king was in power in the 1830s: according to the information I found on the Internet, the “Marguerite Marillat” cultivar was created fourty years later, in 1874. 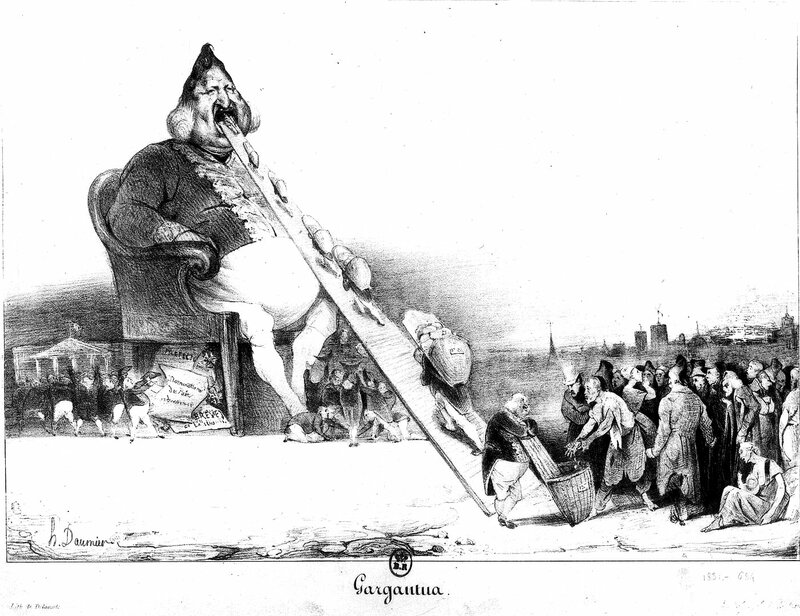 But whatever, Daumier indeed used the shape of a pear to depict his victim in several instances, after Charles Philipon, head of the newspaper “La Caricature”, did it first. And the very large size of the “Marguerite Marillat” (up to 700g) is very much reminiscent of the gargantuan king! The teacher was mostly right. 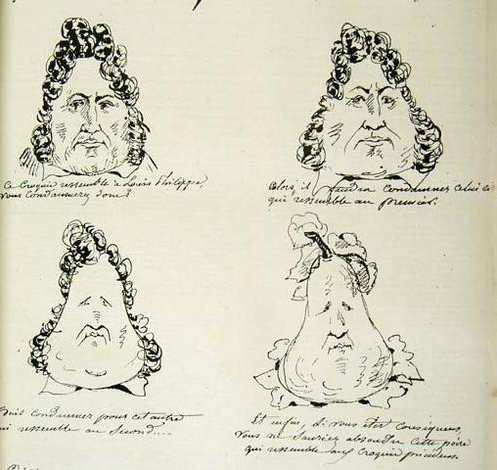 Louis Philippe the 1st turned into a pear by a caricaturist in the early 1830s. Source arretsurimage.net (in French). 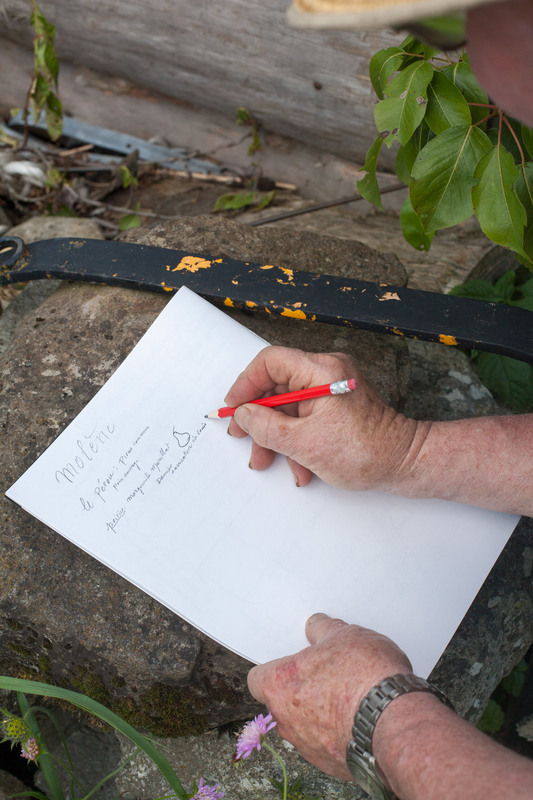 We actually didn’t write down all the names, neither did I take photographs of all the trees. I heard many interesting stories, and got slightly lost in the counting. The retired teacher also has an orchard a few hundred yards away, protected from the wind by tree hedges. 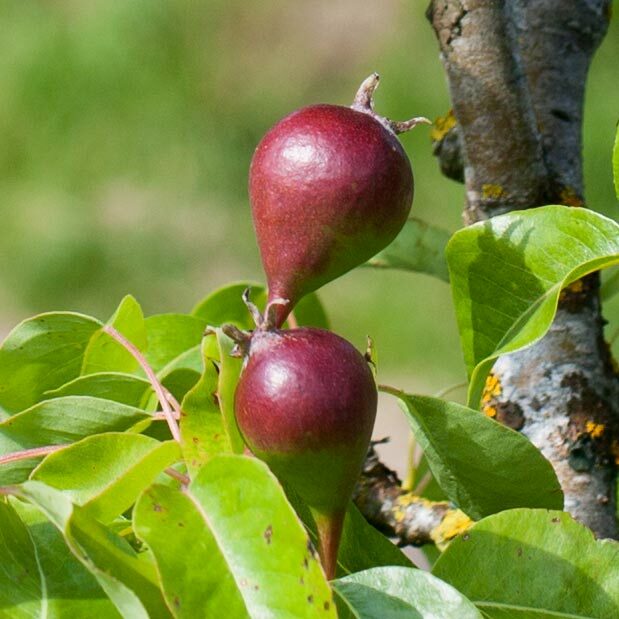 We can find for instance the Risoul apple in it, an old cultivar from the French Alps imported from the resort of the same name where he goes skiing. He says that this apple was chosen by master mariners because it kept well in the ships’ holds. 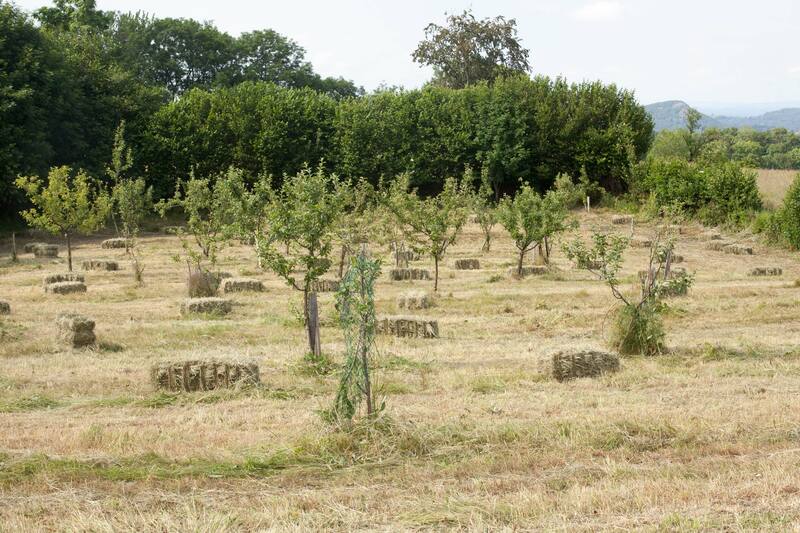 The orchard where the teacher, his wife and grandson had bundled hay earlier in the afternoon. Is this abundance of fruit trees exceptional here at this altitude? I estimated there were a hundred fruit trees in this ten-house village. I was really surprised to see so many of them taken care of, in good condition and producing fruit for home consumption. Is this exceptional? Are there other villages in the area, a thousand meters above sea level, with many fruit trees, or is it just a unique case down to the drive and passion of this teacher? Previous observations suggest that it might be more of the latter, with so many places where fruit trees were abandoned in the past century. My interviewee had actually provided me with an interesting insight during our first conversation on 26 June: when the train arrived in the region at the beginning of the twentieth century, fruit began to be imported from more productive areas with a favourable climate. Maintaining local trees became less of a need. And nowadays, with the modern organisation of food production, fruit is not only imported from other regions of France, but from the whole planet. It is so convenient to go and buy fruit at the local supermarket all-year round! The climate is another parameter, a positive one. Winters are less cold here nowadays, with less snow. It probably impacts on the ability of fruit trees to survive at this altitude. The teacher, as much a precursor of fruit tree revival as he may be, benefited from the warmer weather witnessed in the last decades. It would be worth counting fruit trees in the other villages and hamlets of the area. With producing local being the new motto, there might already be many more than one would expect? I actually doubt it. It takes time for behaviour changes to happen and the aging of the French countryside population remains a pregnant issue. The teacher’s wife expressed her own concerns over our blackcurrant cordial in the front garden last Friday. Their children and grandchildren come from the city to help from time to time, but good maintenance of such places require a more permanent presence. What will happen when she and her husband won’t be in a position to carry out the work themselves? This will be an issue for the young generations to address in the coming decades. In the meantime, this autumn, the teacher and his wife will be in their property to harvest the fruit and make preserves for the whole family. I look forward to visiting them again and maybe share a few recipes! Overlooking the “Parc des Volcans d’Auvergne“. Will this pear be better than pears purchased at the supermarket? This entry was posted in Stories and tagged Aurillac, Auvergne, France, Pears by Les Jardins d'ici. Bookmark the permalink.